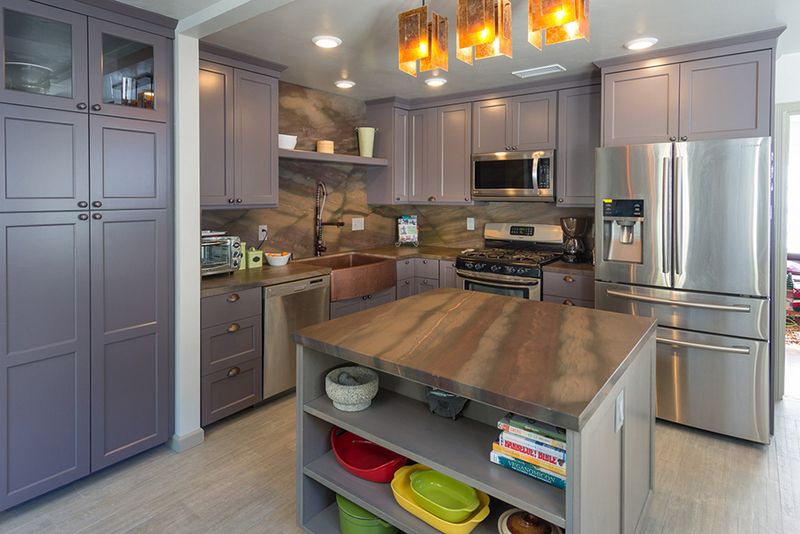 Check out this craftsman style kitchen remodeling project in the Pacific Beach area of San Diego, California. The kitchen is craftsman style with Shaker doors with a Hammered copper farmers sink. — at Pacific Beach, San Diego, CA.